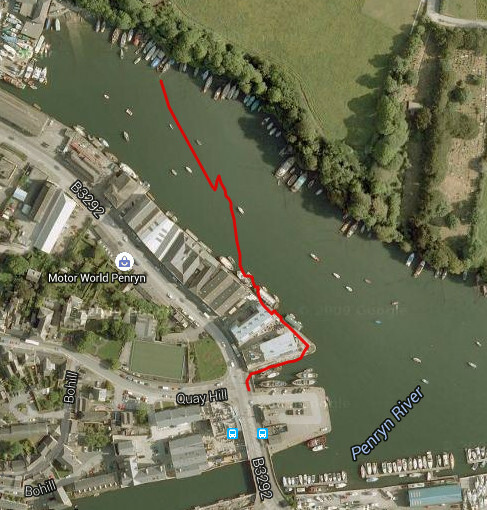 When I first started working on the Sonic Bikes project with Kaffe Matthews in 2013 I had just moved to Cornwall, and I used the Penryn river for developing “The swamp that was” installation we made for Ghent. We’ve always talked about bringing this project here, but the various limitations of cycling (fast roads, stupid drivers and ridiculous hills) were always too much of a problem – so we wondered about sonic kayaks, as a distant vague idea. However now, thanks to help from the British Science Association, Feast Cornwall and the Port Eliot Festival they are fast becoming a reality! We’re also using this opportunity to convert kayaks into instruments for sensing marine microclimates – an area which is currently lacking in scientific knowledge. In order to do this, we need to expand the sonic potential of our current system – moving it from sample playback to a more open ended synthesis approach. We’re running a open hacklab to trial the use of sensors, and actually get out on the water with Kaffe later in the month. To do all this – and keep it functioning on a Raspberry Pi, we’re using Pure Data. For the moment it seemed most appropriate to stick to the concept of audio zones, previously these defined areas associated with samples that would play back when you were inside of them. 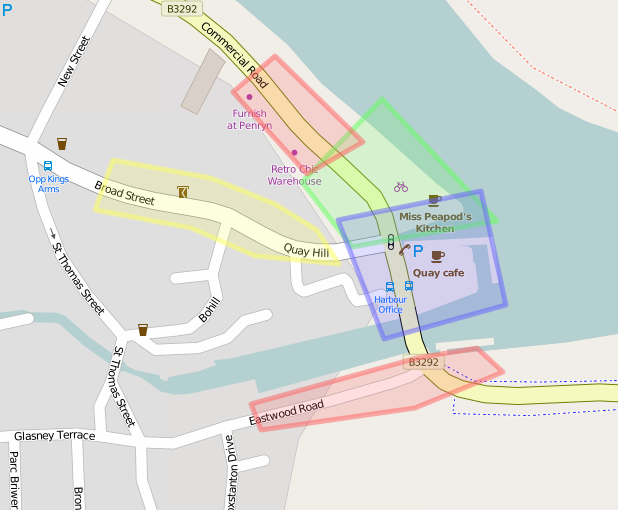 The screenshot above is the sonic bike mapping tool – recently rebuilt by Francesca. Using Pure Data we can associated each zone with a specific patch, which leaves the use of samples or not, effects, interpretation of sensor data and any other musical decisions completely open. 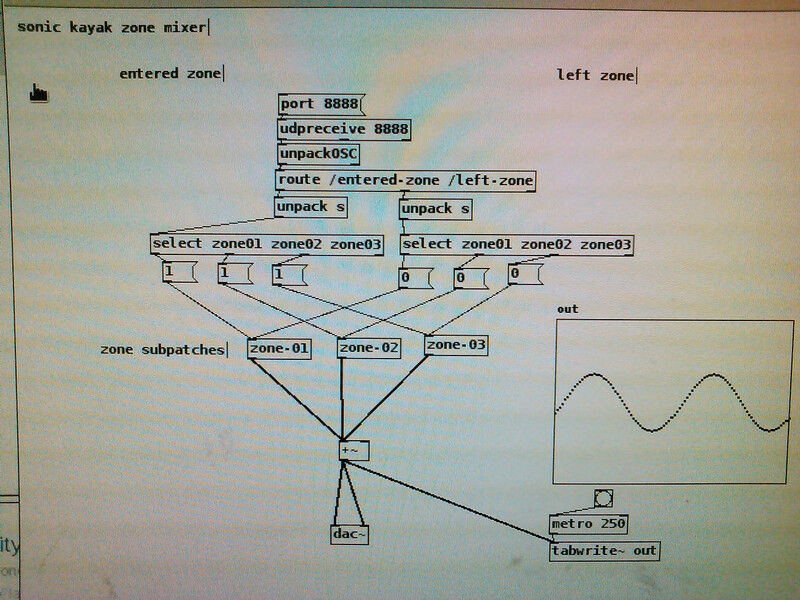 The patch above is the first version of the zone patch mixer – it reads OSC messages from the GPS map system (which is written in Lua) and when a patch is triggered, it turns on audio processing for it and gradually fades it up. When the zone is left it fades it down and deactivates it – this way we can have multiple overlayed patches, much like the sample mixing we used before. We can also have loads of different patches as it’s only processing the active ones at any one time, it won’t stress out the Raspberry Pi too much. 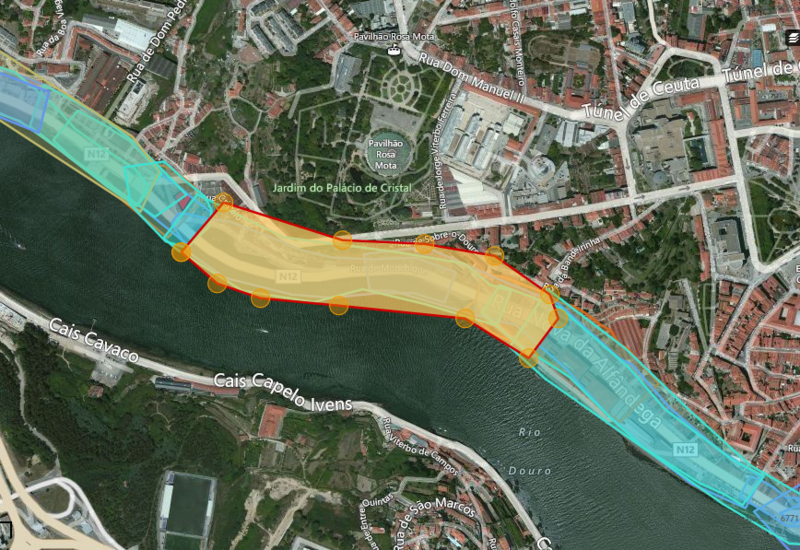 I’ve been testing this today by walking around a lot with headphones on – this is a GPS trace, which gives some ideas of the usual problems of GPS (I didn’t actually switch to kayak halfway through, although it thought I did). 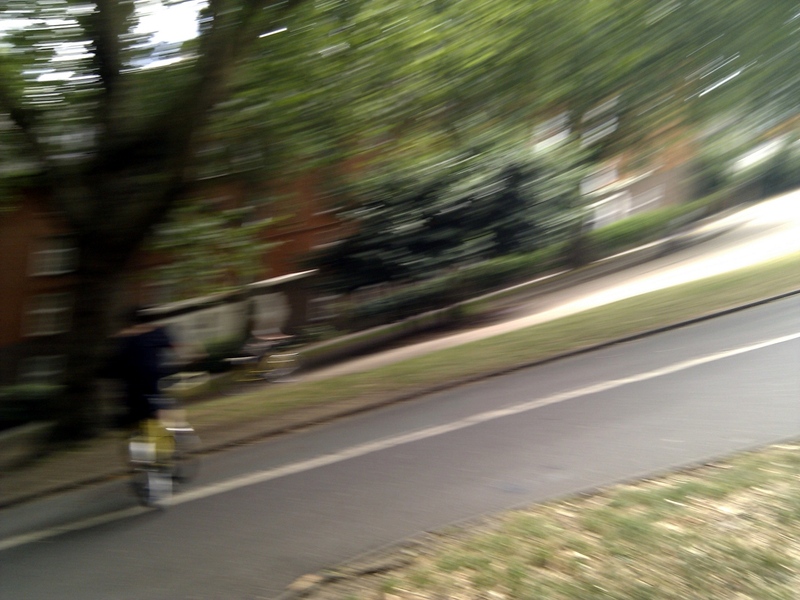 [Continued from part 2] One of the philosophies that pre-dates my involvement with the sonic bikes project is a refusal of cloud technologies – to avoid the use of a central server and to provide everything required (map, sounds and computation) on board the bikes. As the problems with cloud technology become more well known, art projects like this are a good way to creatively prototype alternatives. 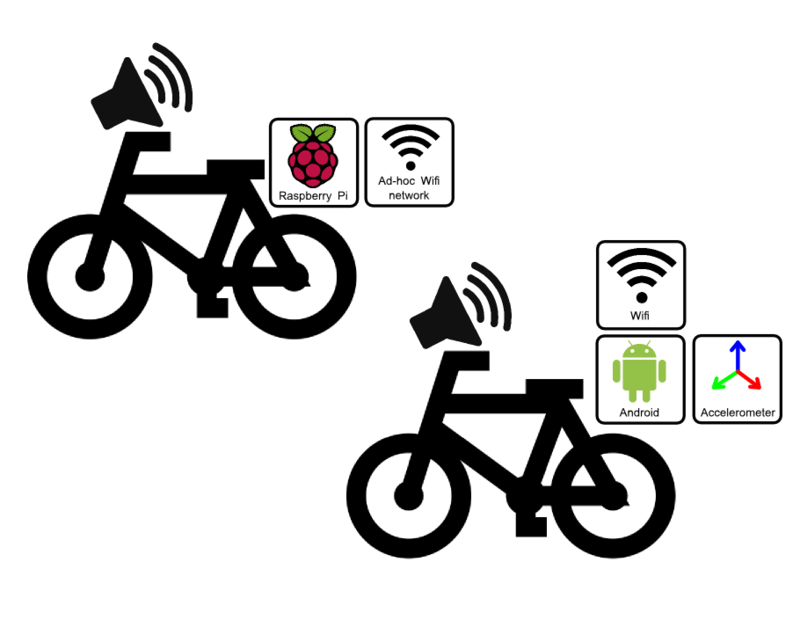 The need to abstractly “get the bikes to talk to one another” beyond our earlier FM transmission experiments implies some kind of networking, and mesh networking provides non-hierarchical peer to peer communication, appropriate if you want to form networks between bikes on the street over wifi (which may cluster at times, and break up or reform as people go in different directions). 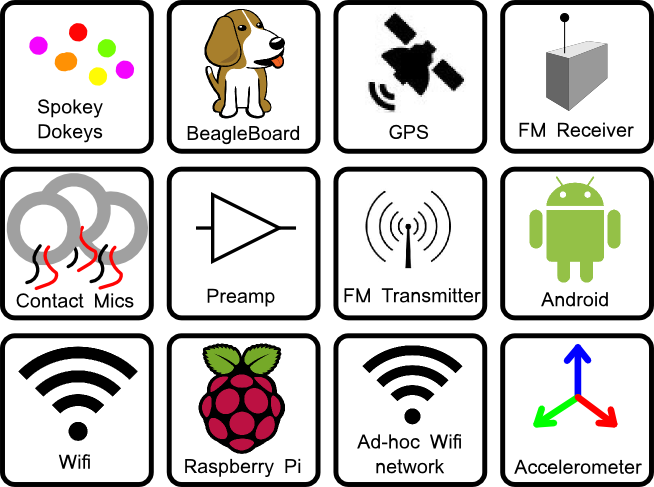 After discussing this a bit with hacklab participant and fellow Beagleboard enthusiast Adam Parkinson I thought this would be a good thing to spend some time researching. With the hardware and some simple software tested, the next stage would be to run multiple wifi nodes and get them to connect and form a mesh network. I got some way into using Babel for this, which is very self contained and compiles and runs on Beagleboard and Raspberry Pi. The other side to this is what kind of things do we want to do with this kind of “on the road” system, how do we notate and artistically control what happens over a sonic bike mesh network? 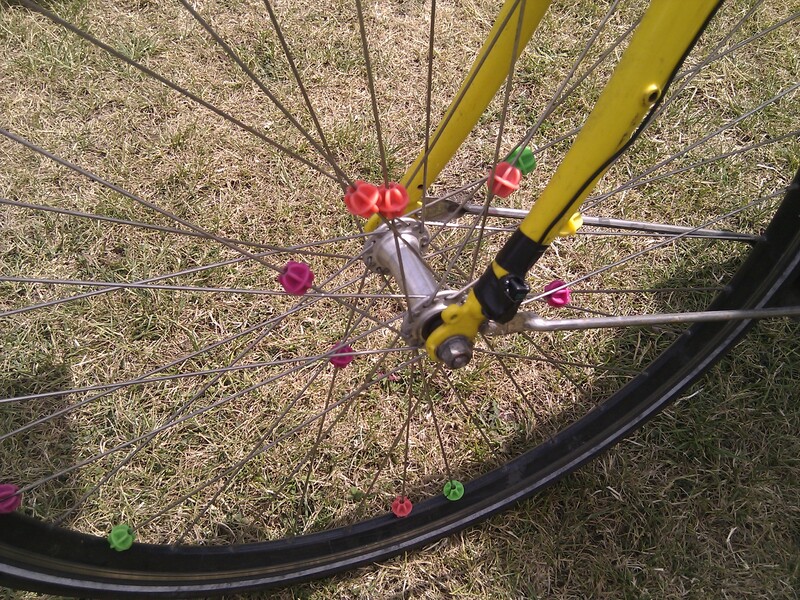 Some ideas we had included recording sounds and passing them between bikes, or each bike forming a synth node, so you create and change audio dependant on who is around you and what the configuration is. I made few more notes on the technical stuff here. 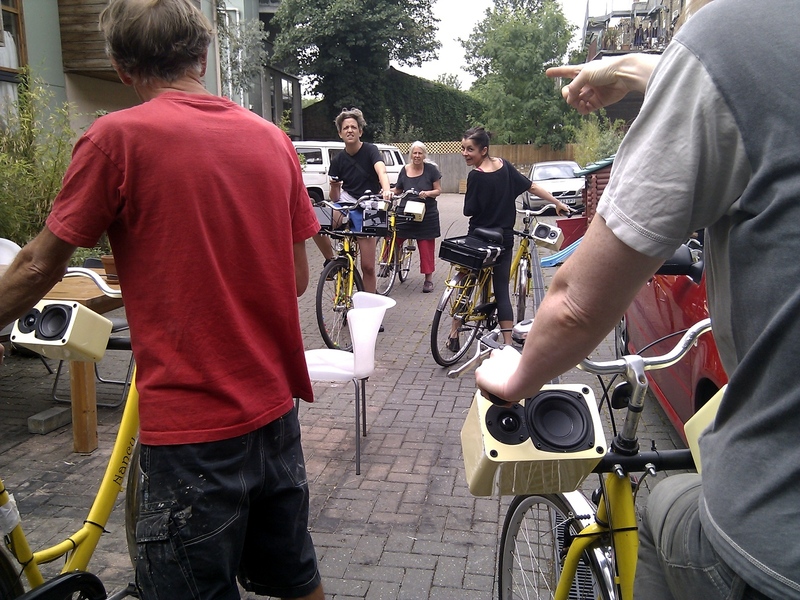 Time to report on the sonic bike hacklab Kaffe Matthews and I put on in AudRey HQ in Hackney. We had a sunny and stormy week of investigation into sonic bike technology. After producing three installations with sonic bikes, the purpose of the lab was to open the project up to more people with fresh ideas, as well as a chance to engage with the bikes in a more playful research oriented manner without the pressure of an upcoming production. 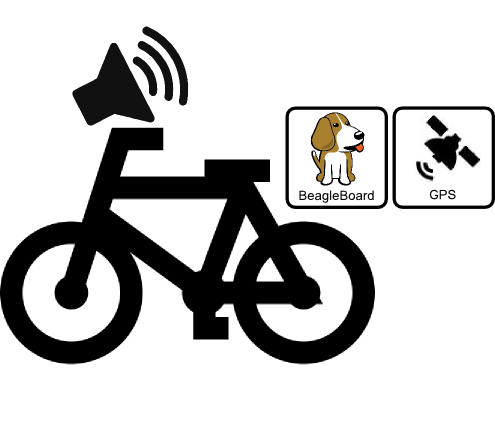 Each of the three previous installation, in Ghent, Hailuoto island, Finland, and Porto, we’ve used the same technology, a Beagleboard using a GPS module to trigger samples to play back over speakers mounted on the handlebars. 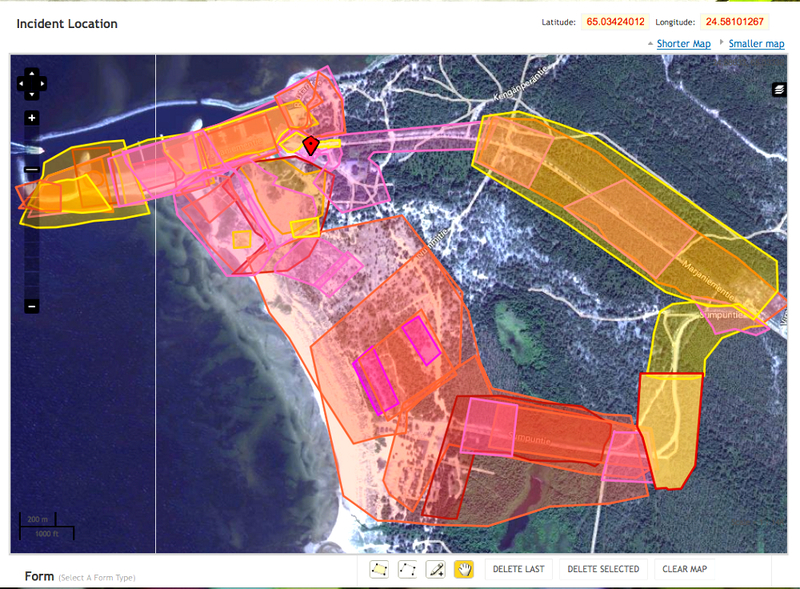 The musical score is a map created using Ushahidi consisting of zones tagged with sample names and playback parameters that the bikes carry around with them. We decided to concentrate on two areas of investigation, using the bike as a musical instrument and finding ways to get the bikes to talk to each other (rather than being identical independent clones). We had a bunch of different components to play with, donated by the participants, Kaffe and I – while the bikes already provided power via 12v batteries, amplification and speakers. We focused on tech we could rapid prototype with minimal fuss. The next few posts will describe the different experiments we carried out using these components. I’ve been doing more remote install work on Kaffe’s latest piece she’s been building while resident at Hai Art in Hailuoto, an island in the north of Finland. The zone building, site specific sample composing and microscopic Beagleboard log debugging is over, and two new GPS Opera bikes are born! Go to Hai Art or Kaffe’s site for more details. This work is fairly reusable, as it only concerns changes to the submit_edit_js.php file in the standard Ushahidi install. 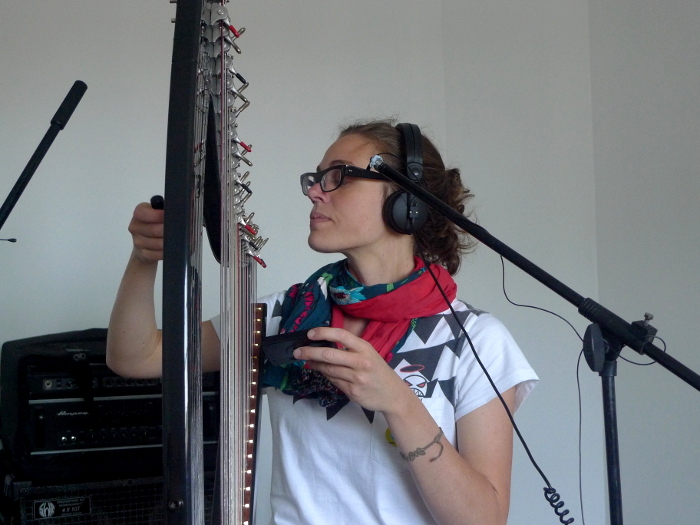 In the meantime, Kaffe has been collecting sounds from musicians in Porto and building up a work of truly operatic proportions. We keep our fingers crossed that the bike mounted BeagleBoards can cope with all this material! A bicycle opera in Ghent! British sound artist Kaffe Matthews records urban sounds such as music, singing and street sounds. As she combines these with elements from the past, she creates an unseen urban opera. A mobile composition, written for cyclists. You can rent an “audio bike” to explore the streets of Ghent. 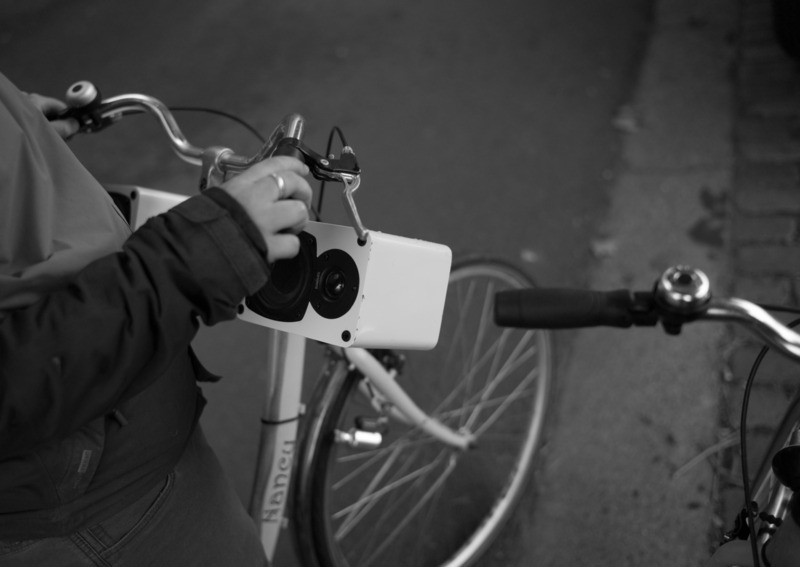 As you ride past certain spots, sound recordings are played on the speakers of your bike, uncovering the soundtrack of the city piece by piece.